Puppy Charlie is one of six puppies who came to us as an accidental litter. They were being sold on craigslist at only 5.5 weeks old. A rescue networker secured them for us and brought them to our ranch so they could be vetted, and so that we could find qualified, committed, screened adopters. Healthy, happy, loving, gentle. Breeds are just best guesses: Shepherd, Lab, Chow and maybe a smaller breed mixed. 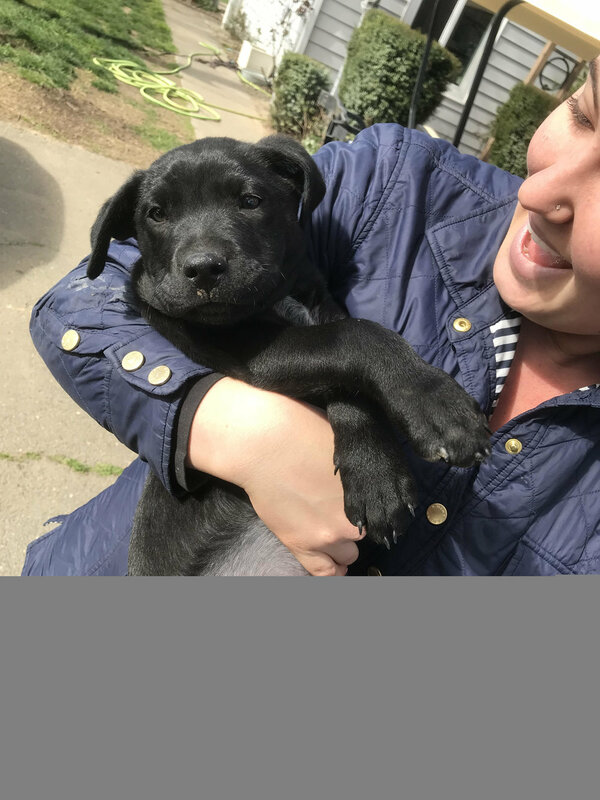 $375 adoption donation: utd on puppy shots, flea treated, dewormed, and available with spay/neuter agreement — adopters must provide proof of surgery between 5 to 6 months of age, as well as complete age appropriate vaccinations. Complete adoption application; selected families will be contacted for scheduled meet & greets.